A trio of gleaming bamboo-motif rings in faux white gold, yellow gold, and rose gold, create the pendant and earrings of this tri-color ensemble. The pendant can be removed from its gold chain and slipped on a longer necklace, cord, or collar. 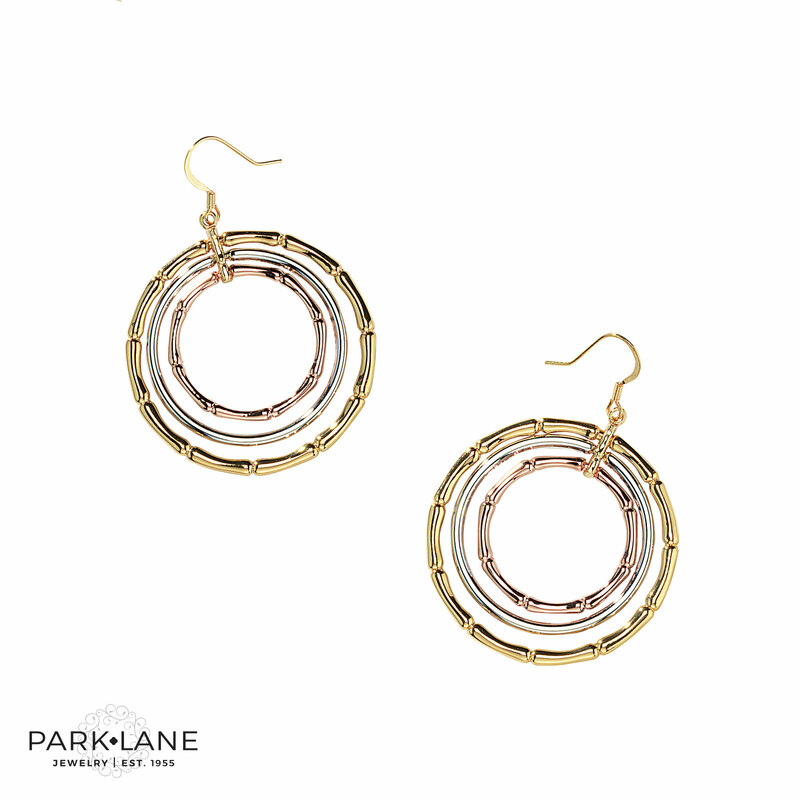 Pierced earrings are fishhook-style. Complementing items: Francesca bracelet, Highlight ring, Legend bracelets, Classique bracelets, Concept rings, Enhance ring, Entourage bracelet, Metallic ring, Tango ring, Elephant Walk ring, U-Rock ring, Unite ring, Knockout ring, Volume bracelet. 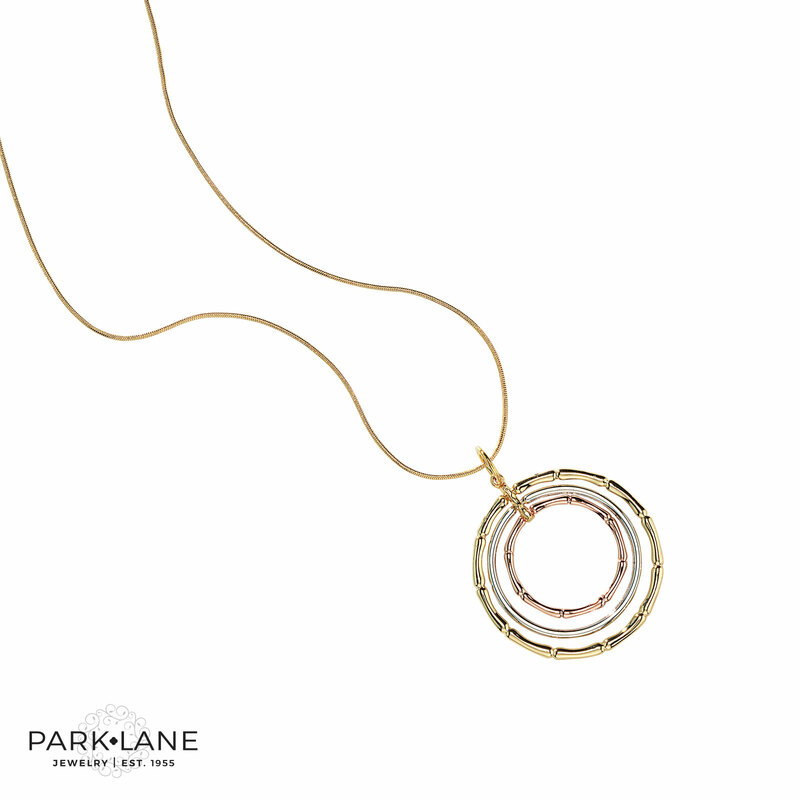 Try using Great Lengths necklace to frame Bamboo, or slip the pendant on Roundabout collar.